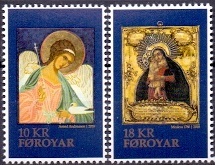 Welcome at the web shop of Ron Herscheit Postzegelhandel, specialized in Scandinavian stamps for over 30 years. Ron Herscheit Postzegelhandel is member of the NVPH and IFSDA. 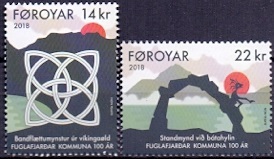 You are at the right place for all your stamps from Scandinavia; from Aland to Sweden, from official stamps to framas, from old rare stamps to the latest issues. We have practically all stamps on stock. Buying at Ron Herscheit Postzegelhandel is safe, trustworthy, easy and fast. Feel free to look around what we have to offer you. You can create an account at any moment, with which you can place an order, or save the contents of your shopping cart untill your next visit. An account is totally free of charge and without any obligation to buy. If you have an account, you can log in and use additional features, such as keeping track of the status of your order and viewing previous orders. You can change your personal data and account preferences yourself. Contact us for a complete pricelist of all our stock for free. Also if you have any further questions or need more information, you can always contact us.